REALISTIC CLUB AND LEAGUES STRUCTURE There are 750 clubs to own across 9 European countries including England, Spain, Germany, Italy, France, Russia, Portugal, Turkey and the Netherlands. Each country has realistic league and cup competitions, meaning there are 64 trophies to compete for in total – how much silverware can you win?! 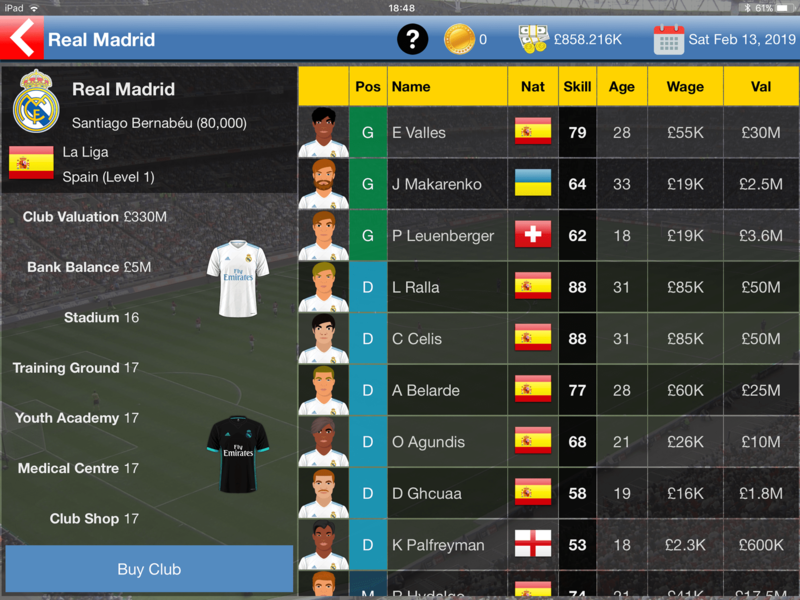 MASSIVE PLAYER DATABASE There are 17,000 players in the game and your scouts will regularly provide reports on as many as they can. Make offers to buy or loan them, using your business acumen to negotiate transfer fees and personal terms. You’ll be in control of player sales too – will you accept that big offer for your star player? BUILD UP YOUR CLUB’S VALUE AND SELL IT ON Build up the value of your club in order to sell it and buy a better one. Or stick with your original club and take it all the way to European glory! DEVELOP YOUR STADIUM AND FACILITIES Continually level up your club’s stadium and facilities to help your club grow. 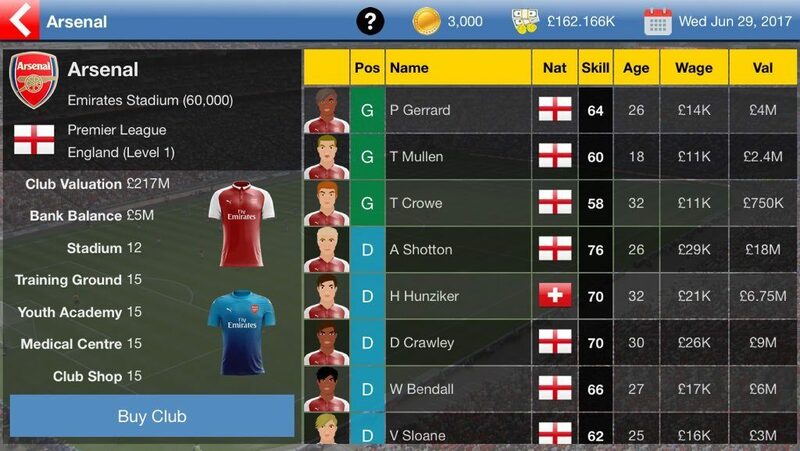 The Stadium, Training Ground, Youth Academy, Medical Centre and Club Shop can all be expanded, allowing your club to rival the top teams in Europe. OVERSEE YOUR STAFF There are other personnel to handle than just the players. The Manager, Head Coach, Academy Coach, Physio, Head Scout, Youth Scout and Commercial Manager all play their part in the success of the club. Hire and fire them at the right time to achieve the best results for your club.